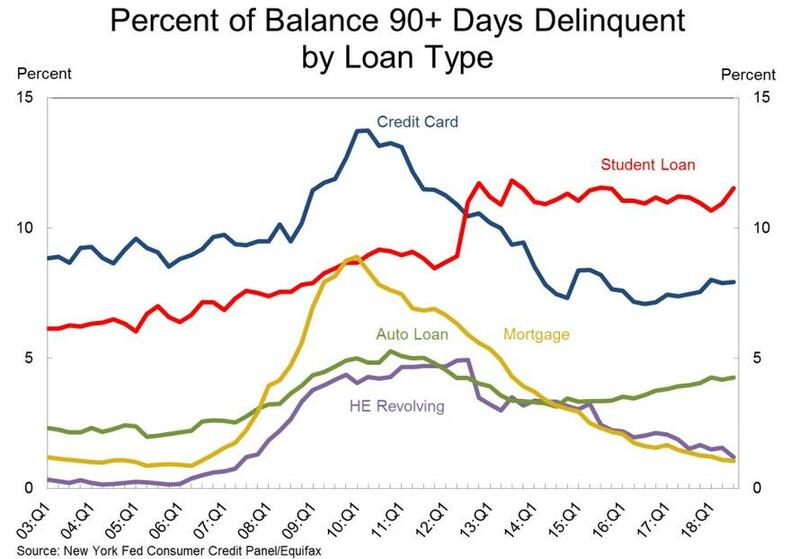 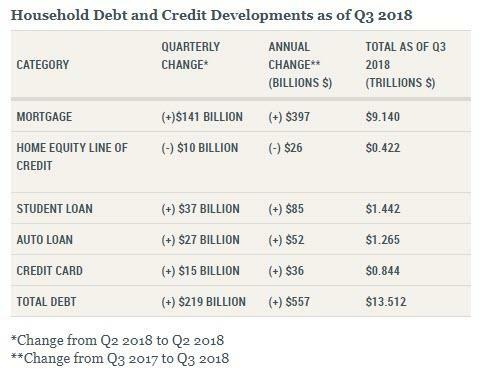 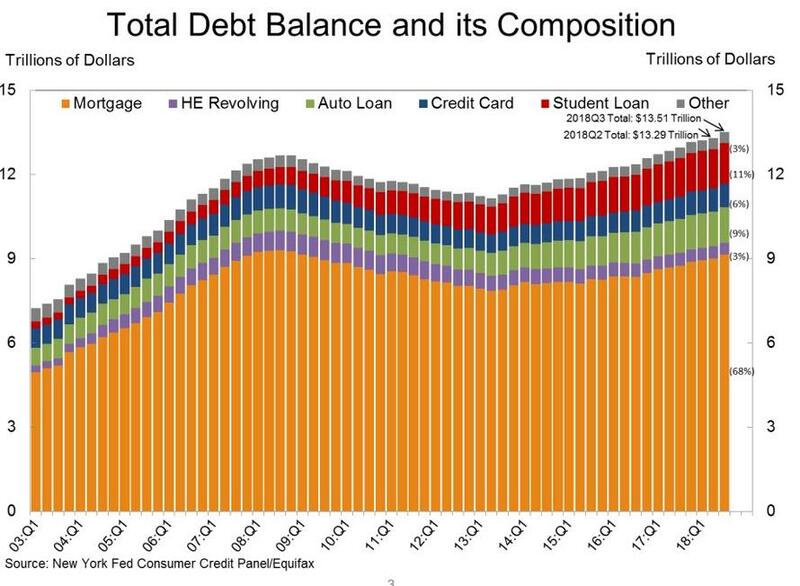 ... while flows of student debt into serious delinquency - of 90 or more days - spiked in Q3, rising to 9.1% in the third quarter from 8.6% in the previous quarter, according to data from the Federal Reserve Bank of New York. 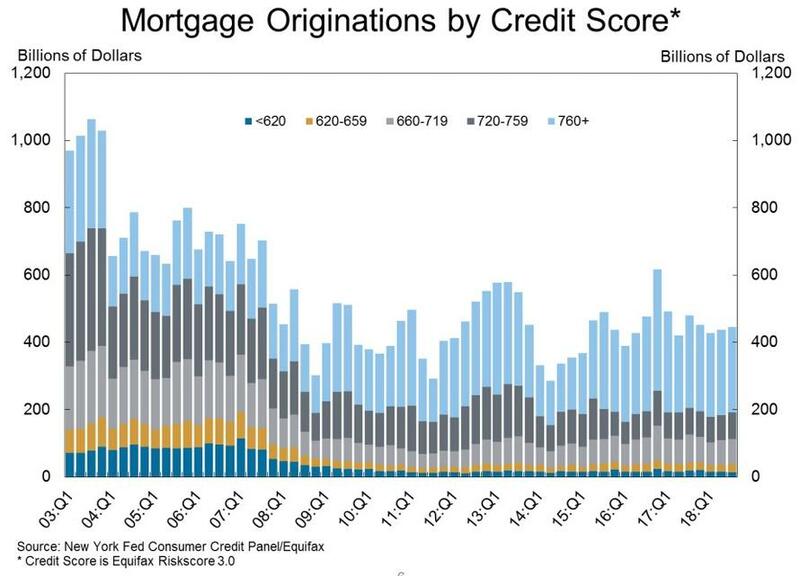 Confirming what many know, namely that Millennial borrowers are screwed, the Ny Fed writes that older borrowers have longer credit histories with more borrowing experience, as well as higher and typically steadier incomes; "thus, they often have higher credit scores and are safer bets for lenders." 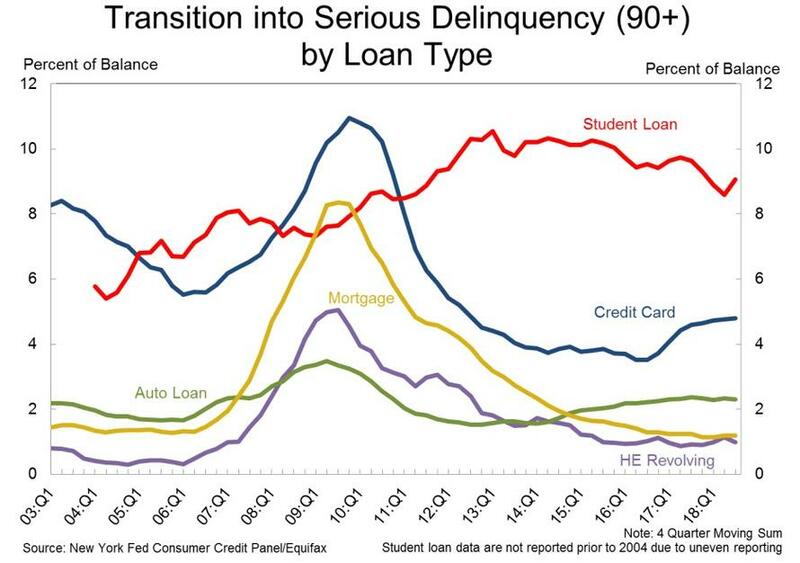 Tighter mortgage underwriting during the years following the Great Recession has limited mortgage borrowing by younger and less creditworthy borrowers; meanwhile, student loan balances - and as most know "student" loans are usually used for anything but tuition - and participation rose dramatically and credit standards loosened for auto loans and credit cards. 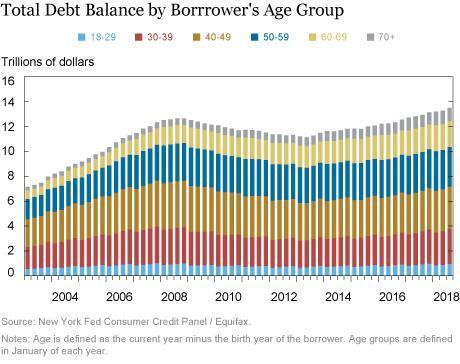 Consequently, there has been a relative shift toward non-housing balances among younger borrowers, while housing balances moved to the older and more creditworthy borrowers with lower delinquency rates and better performance overall. 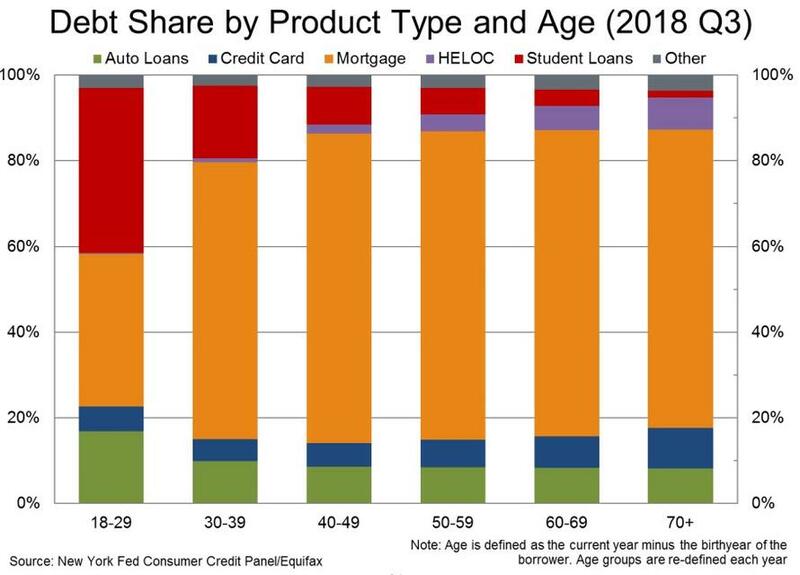 And since this is a circular Catch 22, absent an overhaul of how credit is apportioned by age group, Millennials and other young borrowers will keep getting squeezed out of the credit market resulting in a decline in loan demand - and supply - which is slow at first and then very fast.